various commodities stable in the holy month of Ramazan. The Minister said that the Federal Government would monitor prices of different commodities in areas under its jurisdiction. 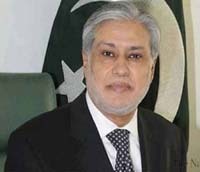 According to a statement issued by the Finance Ministry quoted Ishaq Dar as saying that the government had announced a consumer and business friendly budget. Furthermore, prices of petroleum products were kept unchanged for the month of June to maintain prices stable in the holy month of Ramazan. indulge in profiteering, the statement said.